There is a lot of buzz around programming nowadays. If you are interested in learning coding, you should pick your first programming language to learn based on your purpose and preference. 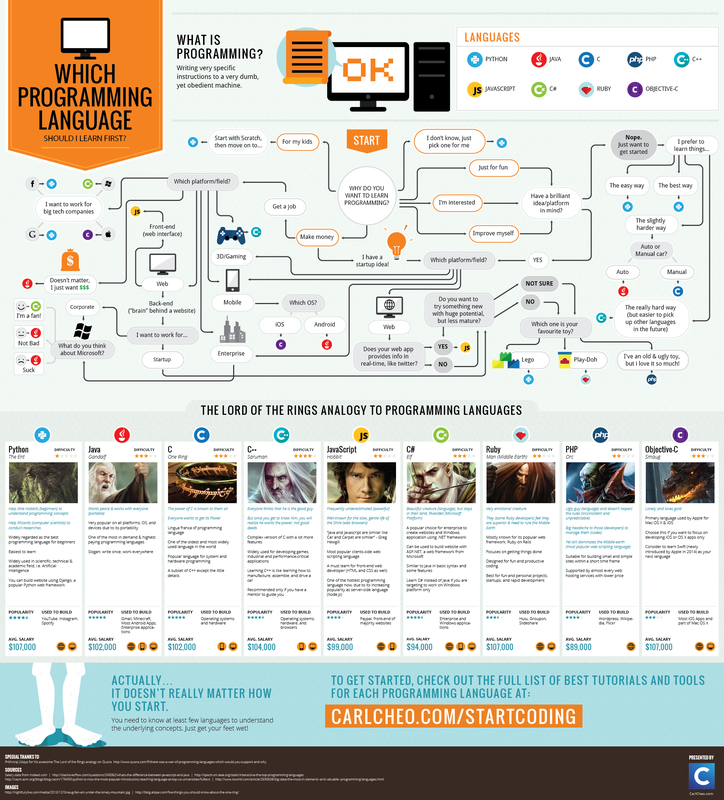 Here is a flowchart, put together by CarlCheo.Com, to help beginners to choose the best programming language to learn first easily. The average salary, popularity, and difficulty of each programming language are also provided.